Over the last 16+ years, Bob has worked directly for the Workers' Compensation judges, employers, insurance companies, and -of course- claimants. This extensive experience gives him a valuable advantage when litigating or negotiating Workers' Compensation cases. He knows precisely how the system works, and how to use this information to his client's benefit. 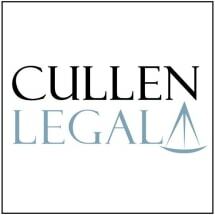 Cullen Legal represents workers in the Philadelphia area and its surrounding counties. Call for a free consultation. Evening and weekend appointments available.